"Tumb ups to front office staff and security!" Have a question for Leesons Residences? "Will definitely come back early next year." "It's a very pleasant place to stay and affordable hotel..."
"Staff are friendly and attend to your requests quickly." "Easy stay, everything was great." 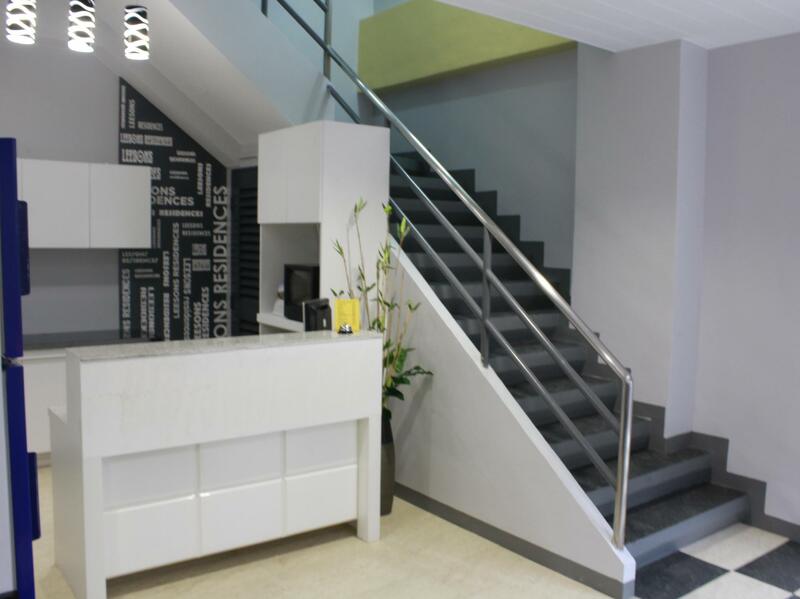 Centrally located in Malate, this property is only a 15-minute walk from the Robinsons Place Shopping Mall. It is a few minutes' ride to Binondo and Intramuros. Boasting well-appointed guestrooms and suites, all are tastefully furnished and equipped with standard amenities for guests’ utmost comfort and convenience, including an air conditioner, TV, wireless Internet access, and a private bathroom with hot and cold shower. 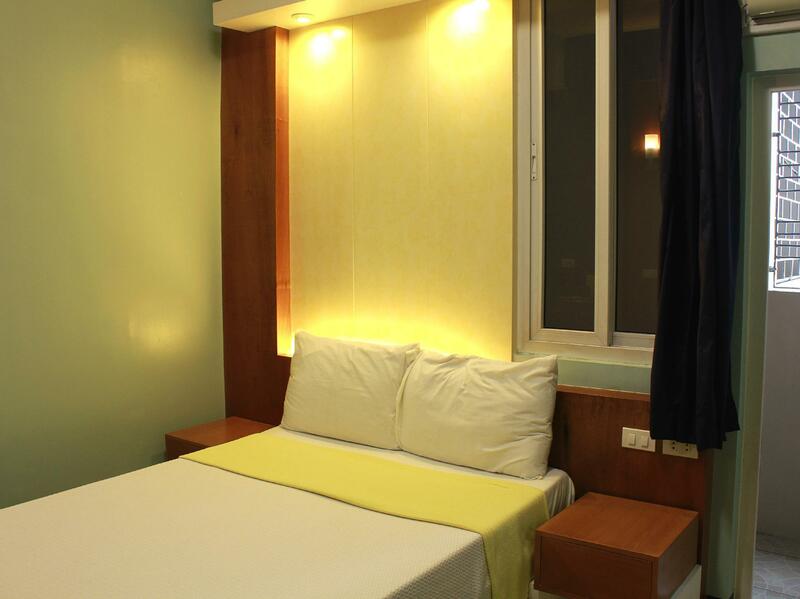 Offering clean, comfortable accommodation with friendly services at an affordable prices, Leesons Residences is an ideal place to stay in Malate. Maximum guests allowed per room is 2. It was a value for money stay.Our room was on 5th floor and no lift was a surprise to us.On the 5 th day owner suddenly increased fare almost 4 times from 700 pesos to 3000 pesos compelling us to leave.There is no kitchen and room service but rooms otherwise have all facilities. Dear Ms. Catherine, Thank you very much for sending your kind review. Learning that one of our valued guests is pleased with the outstanding service we render truly flatters us. Your feedback has brought smiles to our faces and will definitely boost the confidence of the team, especially Gaspar. We hope to welcome you again soon. Sincerely, Paula D.
The size of the rooms are relatively cheaper compared to other properties in the same category. 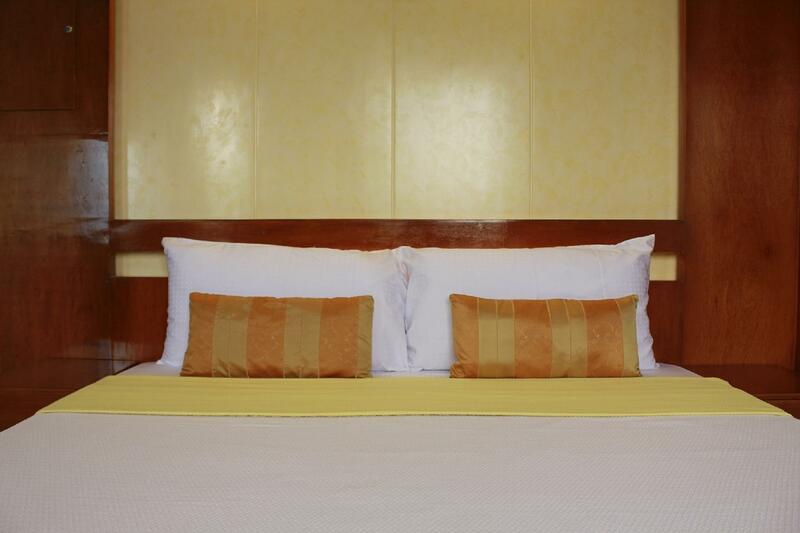 Rooms are clean and contains basic amenities you will need. We had a broken hot shower upon arrival but the staff managed to repair it the next day. Location wise, you are near a train station and jeepneys. But its still be best to take Grab or Uber 😊 Will definitely stay again here. 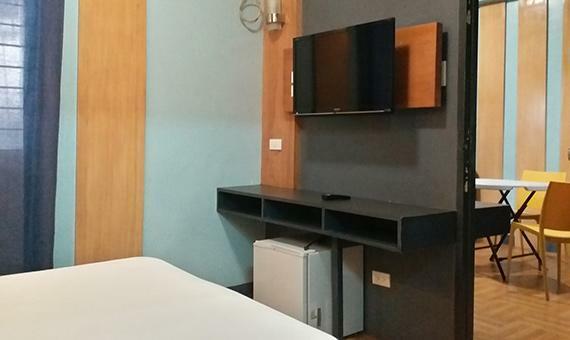 Dear Ms. Charisse, We are delighted to know that you like our room and find it spacious and clean and worth the price. Thank you for this wonderful review and we will look forward to your next stay with us. It's not fright in the centre . But the pluses are that it's in a quiet area and has local people for food and anything you need. 15 minutes walk from robinsons and away from the red might area. Staff are great and do a great job. Also, they don't make you wait till2pm if the room is available . Clean rooms and good aircond. Hi Mr. Angelo, We are delighted to know that you like our room and the service of our staff. Thank you for this wonderful review and for pointing out our good location. We hope to welcome you again soon. Great staff. Very helpful . They allowed me in early even though check in time is 2.00 pm. It was good to have a rest early after my flight. Good wifi. Pleasant area and good food close by. Very much different to the city . People are very friendly in that area. 15 minutes walk to robinsons if you want groceries. 7/11 shops close. Clean room and good aircond. Staff were very good to me. Dear Mr. Angelo, Thank you for this wonderful review. We are delighted that you enjoyed your stay and we appreciate your compliments about the service of our staff, our rooms, and our hotel location. The staff find you friendly too. We hope to welcome you again soon. Pros: Price is very affordable. Can't really beat it in the Malate area for value. If you're looking for a budget room with a decent location. Cons: There isn't really a front desk. Often times the guard will check you in and sometimes you have to wait awhile. 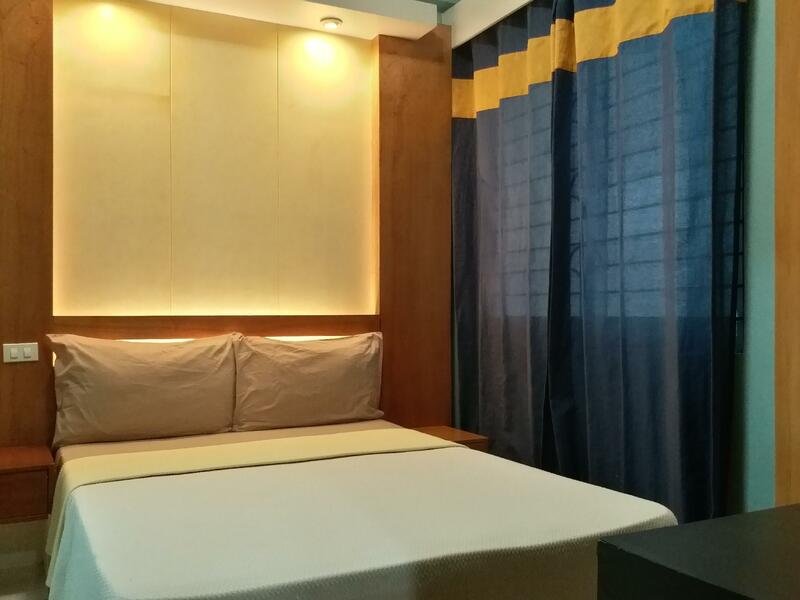 Dear Mr. Abraham, We are happy that you liked our room and find it convenient and worth the price. Our security guards are actually trained to help, specially when the front desk is busy assisting another guest. That way, we can minimize waiting time of guests like you. We did that to meet our goal to be able to assist guest needs as promptly as possible. Thank you for your review and we hope to welcome you again soon. The room was clean. Bed clean and comfy. The staff were helpful,polite and friendly. There is a 24hr security guard on the front door. Wifi was ok by Philipine standards. The aircon was so loud I had to turn it off at night to sleep. I did not like the area. Hotel is on a very buisy road with constant loud traffic all day and night. Plus the area does not seem safe,I would not like to be on these streets late at night. There is a good 24hr convenience store very close by. Dear Mr. Bryan, Thank you for leaving this wonderful feedback. We are glad to know that we accommodated all your needs during your time with us. It was a pleasure to provide you with warm hospitality and a wonderful experience. We hope to welcome you again soon to Leesons Residences. Sincerely, Paula D.
I arrived my room was not available.Say: under maintenance. They ask me deposit 1500 on top. Then after 1 hour they say have to move to so called sister hotel. They bring me to Saleey an old stuff where am given a stincky old room with twin beds instead of double bed as booked. Next morning there say no breakfast I remark that in Leesons I paid my breakfast. Finally after one hour got a poor breakfast with 2 half slices toat bread only.A shame. Dear Mr. Giorgio, We are sorry to learn about your bad experience. Allow me to update you that we have taken measures to make sure these occurrence will not happen again. We apologize for the inconvenience caused. Staff are trained to handle clients more efficiently now and rooms are checked to make sure it is ready for the next guest. We hope you can come back to give us a chance to turn your experience around. Sincerely, Paula D.
Dear Ms. Catherine, Thank you for the great review of our hotel! We are glad that you enjoyed your stay and hope to see you again very soon. Sincerely, Paula D.
Dear Ms. Cherry, Thank you for staying at Leesons Residences and for taking the time to share a review. We certainly appreciate your generous words particularly in our staff and hotel location. We hope to welcome you again soon. Sincerely, Paula D.
Tumb ups to front office staff and security! Good customer service. I will stay there again if I’m going back to visit my family in Manila. Dear Rahmat, Thank you for always choosing to stay at Leesons Residences. It is our pleasure to serve you every time. We always look forward to your next visit. Sincerely, Paula D.
Nice little place to stay at for a few nights. Staff are friendly and attend to your requests quickly. This is my 4th time to stay here and I never had a problem. The room is clean and everything works well. The only downside is that I was at the 4th floor and there's no elevator so I'm already catching my breath before I reach my room. Not a biggie though. I like the fact that the room has a fridge. It was very useful for me. I paid for a breakfast and the portion was good. Although I hope they'd have 2 choices at least as it was always with bread and no rice. Overall, this is very good value for money and a lovely place to stay at. Dear Ms. Jinalyn, Thank you for the constructive review. We are glad that you are happy with the service of our staff and that liked our rooms and find it clean and worth the price. We have noted down your comment about the breakfast and rest assured this will be discussed with the concerned department for further improvements in the future. We hope to welcome you again soon. I mean the condo/appartment is okay, there is no elevator rooms are nice, but the staff sometimes forget to leave clean towels and when you call the front desk it takes over an our for a non busy hotel. so you have to wait if you want to shower till they bring the towels, its sad. Dear Mr. Glen, Thank you for letting us know about your experience. As of this writing, all staff has been trained to make sure guests are served promptly. Also we have called the attention of housekeeping department to make sure clean towels are set up every time. We hope you can come back and experience these improvements we have implemented. Sincerely, Paula D.
This hotel is okay for short stay, the staff takes to long answering floors or communicating with room service so to get clean towels you can wait over 3 hours, No lunch or dinner in hotel restaraunt, sad. rooms are getting old but still ok. there is no early check ins, no refunds or changing of any kind, sad. Dear Mikel, Thank you for your review. We have taken note of your comments and rest assured that this has been discussed with concerned department for appropriate action. Thank you for your continued patronage to Leesons Residences and we are looking forward to welcome you soon again! Dear Thi, Thank you for your wonderful review and for pointing our good location. We are delighted you like your stay with us and the service of our staffs as well. Since we are a budget hotel, we do not have elevator but the staffs will help you carry anything up to your room. We hope to see you again soon!